I felt like I have been putting a lot of work into my new themes, and in relation, the options and functionality of my old themes were looking rather sparse. So I have decided to revisit all of my old themes and add some additional features. Here are details regarding my first round of updates. All of these updates have already been completed, and the new versions of the themes are already uploaded and ready for download. 1. 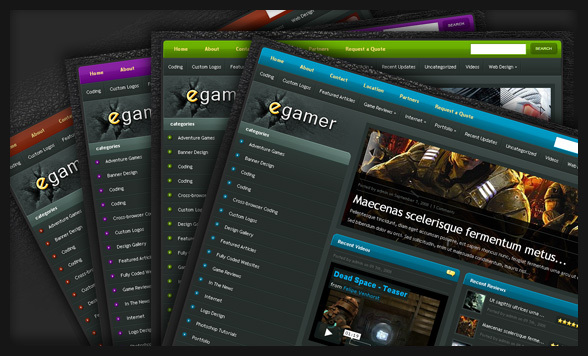 Three New Color Schemes: I have added three new color schemes to eGamer for a total of four different color choices. If the Rust-red isn’t your style, you can change to Blue, Green, or Purple. Changing your blog’s color scheme is fast and easy, and you can change it at any time from within the theme’s options menu. 1. Automatic Thumbnail Resizer: I have added automatic thumbnail resizing capabilities to ArtSee. All thumbnails will now be automatically resized and cropped through the use of timthumb. Also, you only need to define 1 thumbnail image per post. 2. Dropdown Menu: I have added a dropdown menu to the pages links. Now when you assign a page to a parent page, it will appear in a dropdown menu when you hover over the link. This dropdown menu supports multiple tiers. 1. Two New Color Schemes: I have added two new color schemes for a total of three theme varieties. If Purple isn’t your style, you can change to Blue or Green. Changing your blog’s color scheme is fast and easy, and you can change it at any time from within the theme’s options menu. 2. Improved Options Page: I have improved the look of the theme options page to match those of my more recent themes. I have also added a lot of new options that will help give users more control over their blog. 3. Advertisement Management: I have added advertisement management to the theme. You can now add 125×125, 250×250, and 468×60 banner ads to your theme. All of these are optional and are fully managed from within the theme’s options menu. 1. Blog-style Post Layout: If the magazine-style post layout and truncated posts is not what you are looking for you can now switch to a more classic blog-style post layout. You can change back and forth between the default layout and the blog style layout from within the theme’s options menu. 2. Two New Color Schemes: I have added two new color schemes for a total of three different skins to choose from. If Red is not your style you can try out the Green and Blue skins. You can change between the various color schemes at any time from within the theme’s options menu. 3. Improved theme Options Page: I have improved the look of the theme options page to match those of my more recent themes. I have also added a lot of new options that will help give users more control over their blog. 4. Advertisement Management: I have added advertisement management to the theme. You can now add 125×125, 250×250, and 468×60 banner ads to your theme. All of these are optional and are fully managed from within the theme’s options menu. 1. 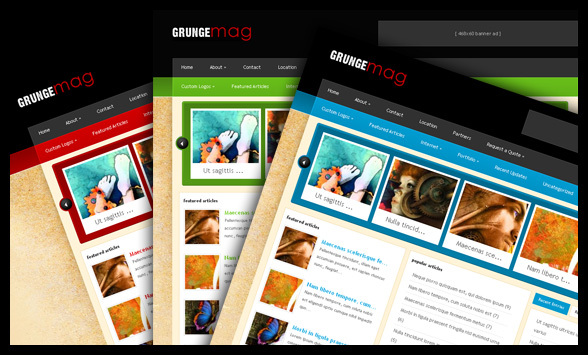 Three New Color Schemes: I have added three new color schemes to the theme. If Blue isn’t your style, why not try out the Red, Purple, or Green skins? You can change between the various color schemes at any time from within the theme’s options menu. 1. Theme options Page: I have added a theme options page to Quadro with some of the more advanced features of my recent themes. 2. Blog Style Post Layout: If the default post layout and truncated posts is not what you are looking for you can now switch to a more classic blog-style post layout. You can change back and forth between the default layout and the blog style layout from within the theme’s options menu. 3. 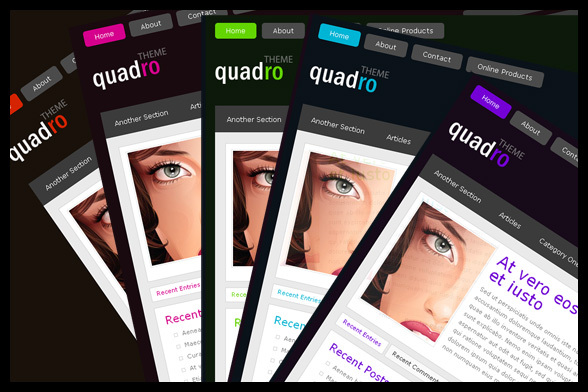 Four New Color Schemes: I have added four new color schemes to Quadro for a total of five different color variations. If Red is not your style, you can change your theme’s color to Pink, Blue, Green or Purple. 4. Automated Thumbnail Resizer: I have added the timthumb thumbnail resizer to Quadro. You no longer need to resize or thumbnail images, and only one thumbnail image is required per posts. 1. Blog Style Post Layout: If the default post layout and truncated posts is not what you are looking for you can now switch to a more classic blog-style post layout. You can change back and forth between the default layout and the blog style layout from within the theme’s options menu. 2. Automated Thumbnail Resizer: I have added the timthumb thumbnail resizer to EarthlyTouch. You no longer need to resize or thumbnail images, and only one thumbnail image is required per posts. Wow! Great updates! Thank you very much! I see that you listen to your clients! Keep up the very good work! I cant find Quadro ! Where is it for download ? Man, I’ve been following your themes for a while, and also searching the internet front to back trying to find some good themes… the thing is people want simple stylish themes that don’t look toooo slick like a damn template!!!!!!! They look like the site thats selling the templates hehe(ie this one). Why don’t you put a bloody galaxy on the top of your site if thats what people want to see hehe (I’m joking but can you see my point?). This http://sharp.loginpath.com/ is the closest I have found to something simple and stylish I’m after for a particular site (and suprise suprise its by far the most downloaded there). Is that possible? 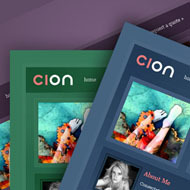 I see you also just added regular blog style layout to some of the themes above (which make the decsion a lot eaier), but not whos who yet, is that a possibility soon?, Otherwise grunge mag might work if I can get rid of the yellow background and add the 125 adds in the sidebar etc. You’re doing some great work here, I just hadn’t found the one template that combinded the things here I’m after, but its great to see your adding the blog style etc and extra colours. As I said from looking around and seeing whats popular I’m absolutley shore others are after simple sylish themes aswell. We want something that looks like it was custom made by a designer but not a template thats just too slick and overdone with gradients and graphics etc. But just like this site for example they would likely be even more adaptable and genereic than most of the themes available here. Just a thought anyway I’m sure you could do some of both. Also it would really help to have live examples of the different colours and possibly layout options of each template. I found some layout options (like influx etc) by going through all the blog posts but I can’t imagine most people would be that persistent. Its great if your adding drop down menu’s and colour options to all the old templats too as some haveing this and not that is what makes the decision hard too. WhosWho already has a blogstyle layout, but the category template will also be “blog style” when you change to that mode. It wouldn’t be that hard to have a blogstyle homepage and a default category page. If you decide to signup just make a post on the support forums and I will try and help you out. Also, I am currently trying to update all my gallery pages with more info about the templates. This will include previews of the various color schemes and layout options eventually. Actualy you know Quadro in blog style format would be sweet too for what I’m after if it had the drop down menus (preferably catogs and pages, just so its not another possible limitaion). Having these current templates updated with consistent feaure options would make be a much bigger drawcard to me than more new ones. Ahh man, I wrot a looong comment before the 9:18 but I think it didn’t go through :(…. ? Akismet thought it was spam, it’s up now though. Do you ever sleep? Wow, I am impressed with all the improvements. I love all the colour additions you have added. Loved it .. Thnx brother. Hey, when did this happen …. Nick, you are one crazy and fast working dude ! +1 harry : You’re the best ! Thanks ! Similar updates on the remaining themes, and perhaps more widespread use of dropdown menus. I plan to buy the Who’s Who theme. However, from the preview screen, it seems that the RSS count + email subcription bar is not available on the individual posts. How easy or difficult will it be to add this (once I purchase). Will I get support/help for doing this? Hey, that´s great service, I´m amazed! Keep on going and Happy New Year! I love your designs but was wondering why all of the portfolio sections of your designs don’t really seem to be portfolios. I’m a photographer looking to showcase my photos under a portfolio tab with several galleries. I would like it so that you can see several thumbnails and click on them to enlarge. Do you have anything like that? The only theme I have that resembles a gallery is eGallery. The pages that I add to each theme preview are merely there to fill out the design, I didn’t mean to imply that there is a page layout for each item on the navigation bar. The effect you are looking for would be pretty easy to achieve, however, using a lightbox plugin and then simply adding several images to a page. Hope you have a wonderful and safe New Year! If you get a chance, I need help with duplicate posts on Whoswho. Great updates. I downloaded the latest version of Quadro and am having problems getting it to work properly. When I started delving into why, I noted that there are code snippets from ArtSee included. Is it possible that you may have missed something? Look at home.php (for example). You have to be kidding me. You work so much! Hope you had a good new year! Dear Nick and his fans: I’m a newspaper web magazine editor brainstorming a fairly offbeat new media web magazine online. For the past couple weeks I’ve been on the fence about whether to use as the magazine template the Arthemia Premium WordPress template (see http://colorlabsproject.com) which costs $70 a single pop. Or to try and use one of your many cool and fab designs here (for much cheaper, of course). But I need a video player or video space anchored in the upper right corner of the homepage as a regular feature, tied into the otherwise magazine-feel of the site. The Who’s Who or possibly GrungeMag templates with a video spot might work. Looking for feedback from Nick and anyone who has a magazine site with a video player. Have viewed all of Nick’s very fine templates. Whoswho is already OK with BLUE color scheme. Im not into purple but i appreciate your theme updates. Great work! I am currently using the Earthly Touch Theme. To say I am happy to see the upgrades on the old themes is definitely an understatement! This is probably the most simple yet professional wordpress themes I can ever come about. Good news. I think many guys like to hear this! Could you include a RSS feed on elegantthemes.com? About the thumbnail resizing on artsee, is it possible to disable the auto resizing feature? – It’is really great to see that you don’t forget your old Theme. – And I’m like Elv. I do prefer less new theme and more new features on the existing one. – I’m also looking for a dropdown Menu in Quadro. – Could be really great to have a “live demo” for each big feature of each theme would be great (blog style vs magazine style etc). Keep going your really great work. I’m likely going to buy membership after lunch anyway, but adding an Image Carousel to the Interphase theme would look jaw dropping IMO. Was this included in any of your plans? It’s not one of my plans, but I haven’t gotten to InterPhase yet so maybe there is still time to slide it in. Can’t say for sure though, I have a lot of suggestions to consider! Thanks for replying. Is a theme similar to “overeasy” or any type of CMS in the works? If not do you guys do custom projects? btw.. I really appriciate your efforts.. seriously..
Keep up the great work.. I must 19.95 well spent.. Thanks and have a great year ahead! 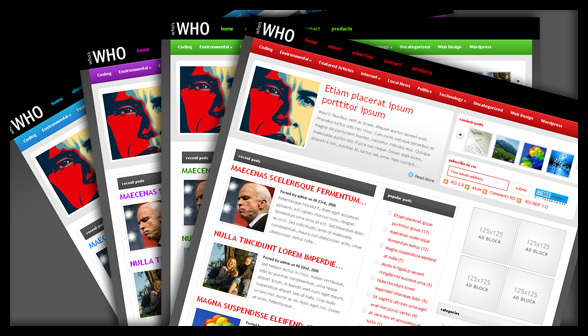 finally someone share all theme that work for wordpress 2.7!!! Did you have idea for one column for wp I will used for landing page for affiliated. How could we define thumnail image? 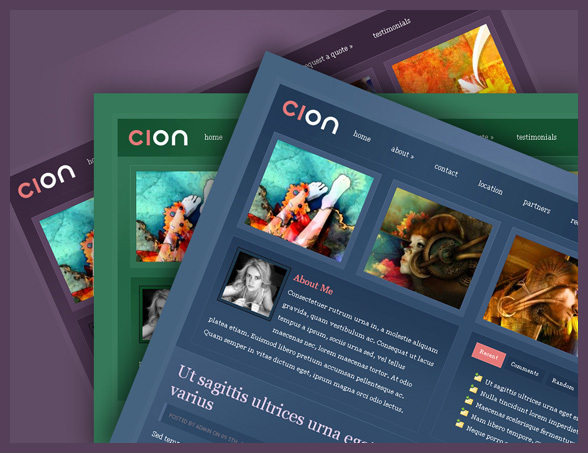 Each theme comes with a readme file that includes full installation instructions. If you have further questions please use the support forum instead of the blog. I’ve tried the forum for support many times and have received no responses. What’s your forum username? I will try and make sure you don’t get overlooked. If you posted about customization issues as opposed to problems with the theme then I can’t guarantee a timely response. All customization issues are dealt with after normal support inquiries. you are one of the most hard working and creative dude I have ever seen.